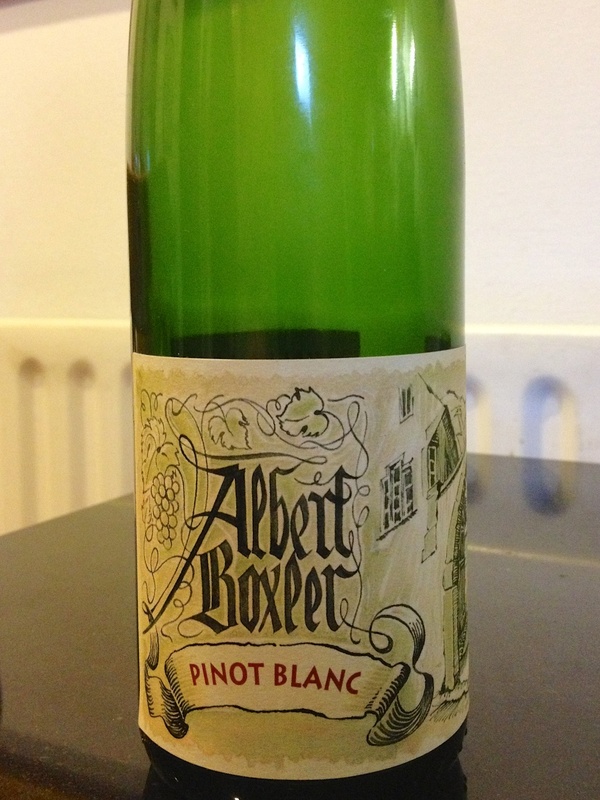 I bought the Boxler from Gauntleys in Nottingham who have an impressive range of old and interesting Alsace wines. This was a 2004 (£20). Served as an aperitif but thought slightly too sweet. However, perfect at the end of the evening with some very ripe brie. A very rich, slightly oily taste (that’s a good thing), with peaches and nut flavours. A very classy wine. We moved on to the Cassis with the fish course which was cod fillet stuffed with tapenade, then wrapped in ham. Served with braised chicory. A good match since the powerful and complex flavours of the wine easily matched the food. I think that whites from the South of France (this is Provence) are now becoming extremely attractive and this was one of the best. 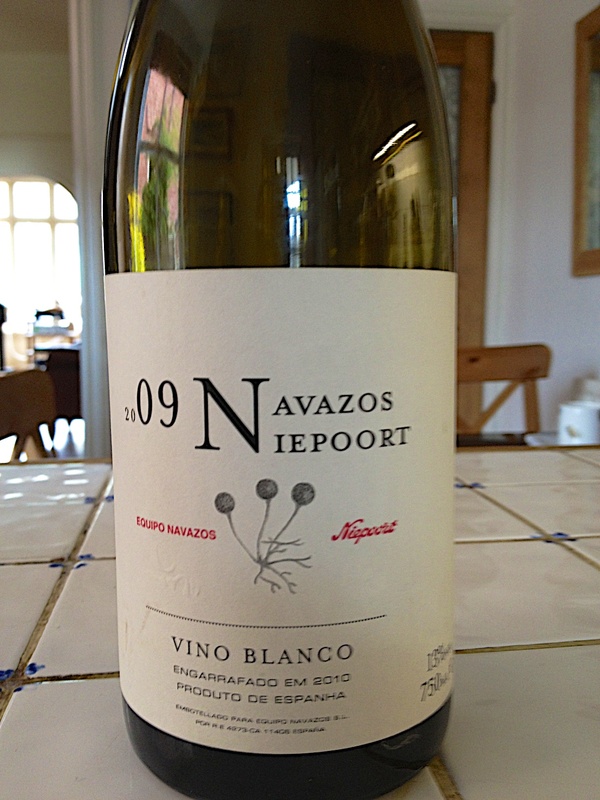 The Navazos Niepoort is a collaboration between the sherry negociant, previously blogged about here, and the port producer. The wine is an attempt to recreate a style, using the palomino grape, seen in the Sanlucar and Cadiz areas in the eighteenth century. The wine is aged under the flor that develops naturally and no alcohol is added. The result is halfway between a fino and a white wine and slighly oxidised. More to my taste than Geoff’s although, having tried it, I doubt if I’ll buy another bottle. 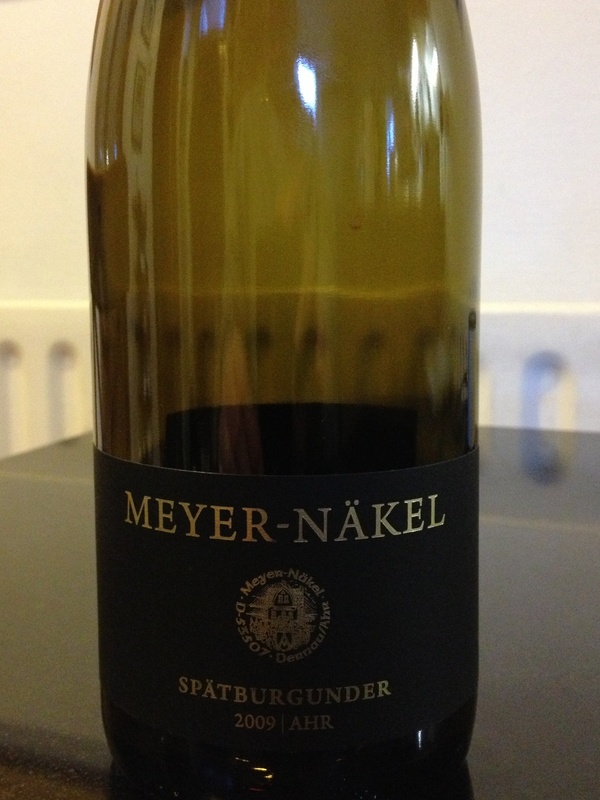 The rather cryptic heading is because there is a link between these two pinot noirs (spatburgunder is the German word) – neither (much) tasted of pinot. Geoff is much more knowledgable about pinot than me so, naturally, he was asked to taste these wines blind, with little success but I would defy anyone to guess the grape of the Meyer-Nakel. A non-existent nose led to a fruity, not very interesting taste. The WS claim that the 2011 (this was 2009) has ‘true pinot fragrance substance and charm’ but we couldn’t get it. 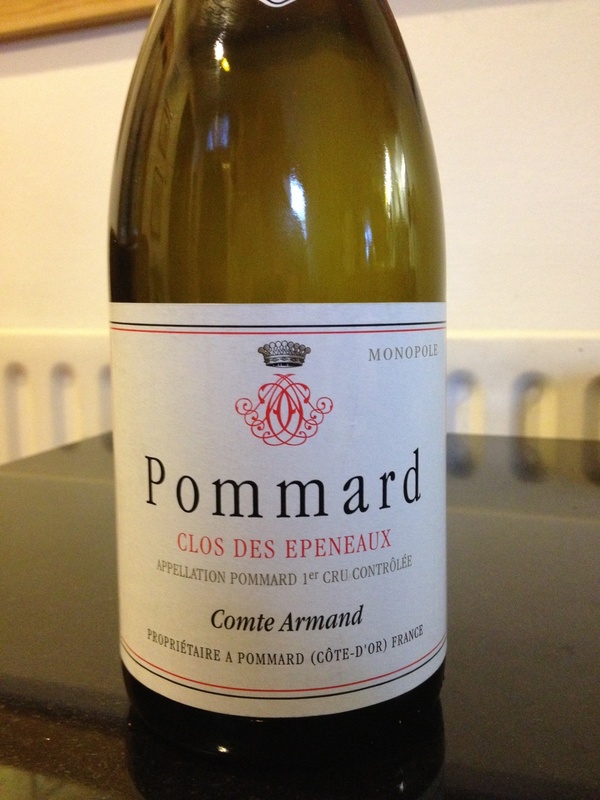 Unlike the Meyer-Nakel, the Pommard 2001 (also WS) was decanted, about five hours before drinking. Didn’t make much difference, as the nose was indistinct and the pinot flavour, when it arrived, very muted. A better wine but at twice the price. Sold as fully mature but perhaps still a bit young. ‘Sturdy’ is the Jancis Robinson description. Went well with a venison daube though. 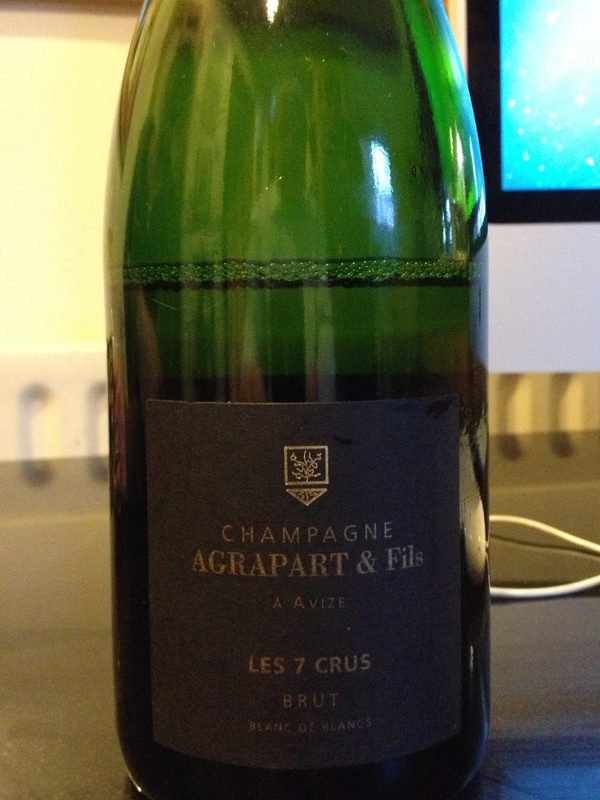 Another excellent ‘grower’ champagne from the WS, drunk as an aperitif. None in stock now although they do have a 2005 ‘extra brut’ which sounds very good, subject to the usual caveat that the WS do have a tendency to be overly enthusiastic in their descriptions. No real link between these two reds and no tasting notes either so just a short blog, like a diary entry/aide memoire. One of the advantages of blogging and something I wish I’d started years ago. 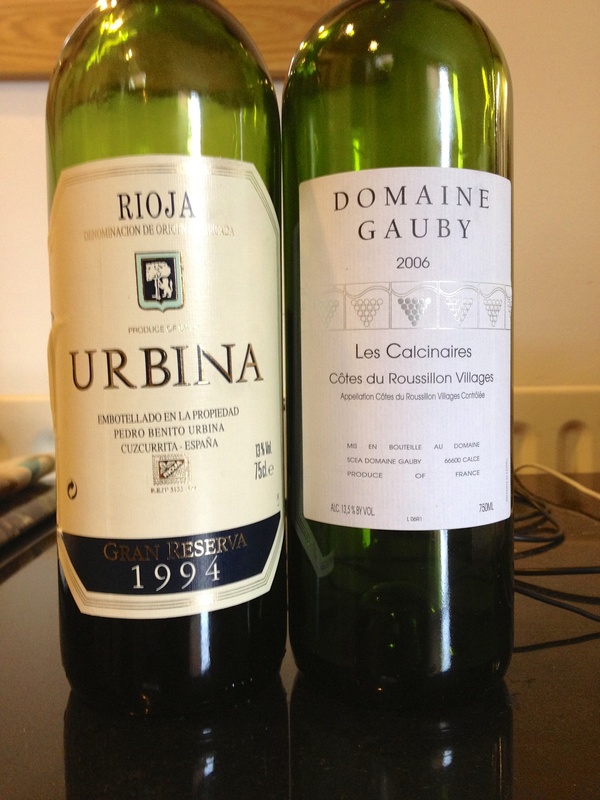 The Urbina 1994 came from MWW recently, at £15 for two and was really good if you like old (and old-style) Rioja, as I do. Thin mouth feel but intensely savoury with refreshing acidity. Very easy to drink. The Gauby 2006 was a WS purchase, about three years ago. A problem with these wines of this type – Cotes de Roussillon – is knowing when to drink them. They usually need quite a bit of bottle age. Also they are rarely reviewed, although Jancis Robinson liked this a lot, as I discovered after I’d opened it. Anyway, rich, spicy, clearly mature and absolutely delicious. WS have the 2010 and I’m tempted. 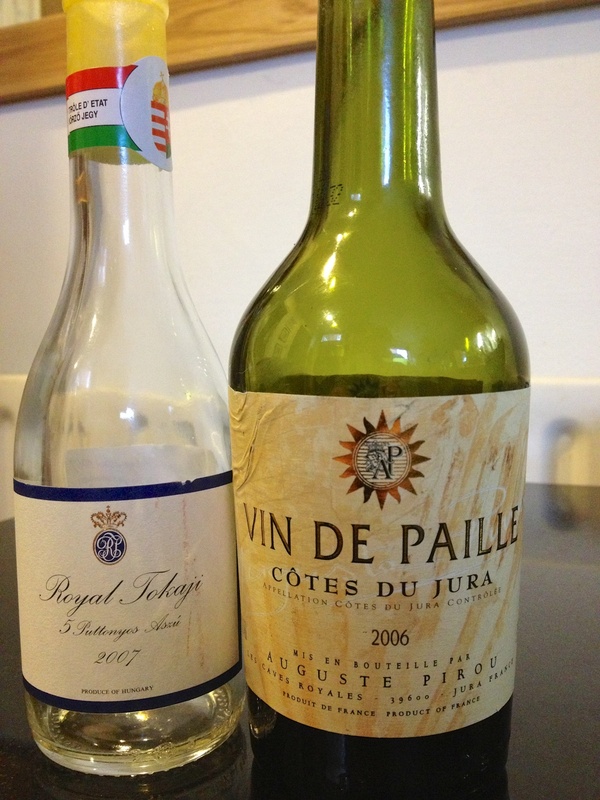 Not the best photo, partly because the 2007 tokaji, on the left, is only a 25cl size, the smallest bottle of wine I have ever bought. A very popular wine in the seventies – I can remember buying it from Weavers Wines in Nottingham but it has fallen out of favour. From Waitrose (£11), intending to drink at Christmas but something else was selected. 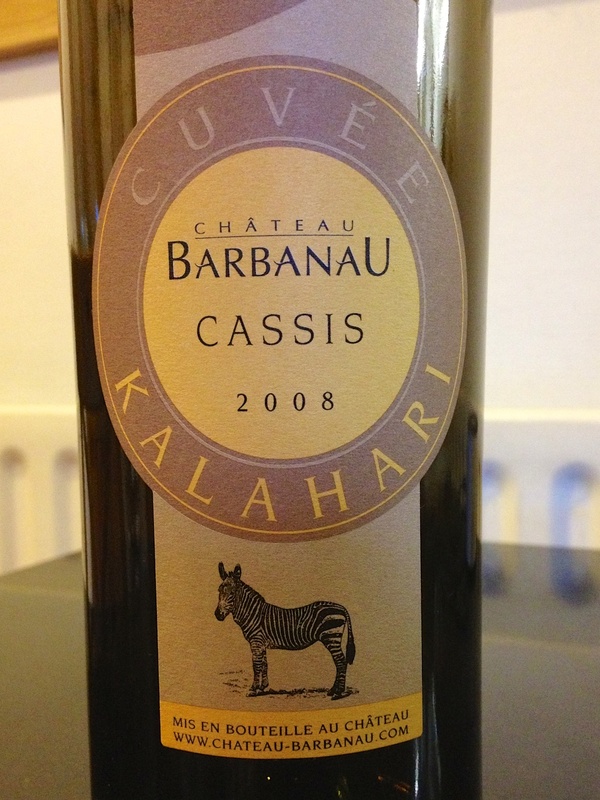 We (Geoff, Steve and I) had this with a chocolate and hazelnut tart, with braised pineapple in a star anise sauce. Strong flavours and the wine stood up well with orange and caramel flavours predominant. We also tried a glass of the 2006 Vin de Paille or ‘straw wine’ (because the grapes are dried on straw mats, to concentrate the sweetness). This came from a LeClerc hypermarche in Troyes, last summer (€16). Not as good, rather tired and boring, although, in theory, the wine is very long lived. I’d rather have a decent oloroso, which it rather resembles. Every so often you drink a wine that is so enjoyable that you wish it would last forever. It does, of course, but only in the memory – this was one of those wines. The maker was Emile Champet and the wine pre-dated the requirement to put alcohol levels on the label. There was no grape mix on the label either. The cork was extracted rather carefully and it was poured into broad bottomed Burgundy balloons. Brick red in colour, the wine was slightly cloudy with sediment so fine it never settled. There was still some medium deep red showing in the centre of the liquid. The aroma was, initially, smoky and even spirity with very little fruit – but how that changed over the next hour. The palate had slight sweetness and still some length but is was a light wine with a soft mouth feel. About an hour later the wine had developed through light cherry flavours into a delicate, well balanced, sweet drink that had a distinctive taste which Richard and I had difficulty in naming. So, unashamedly, I hunted through the books to place it. ‘Violets’ the critic wrote – and it was. (I assumed he meant those parma violets we had as children) The wine could have been between 80 to 100% Syrah, any balance being made up by Viognier. Whatever the grape variety it made for a wonderful bottle of wine that we could sip without food. We were surprised that wine of this age could still improve so much when opened for a while. That is a testament to its quality but sadly there is no more. 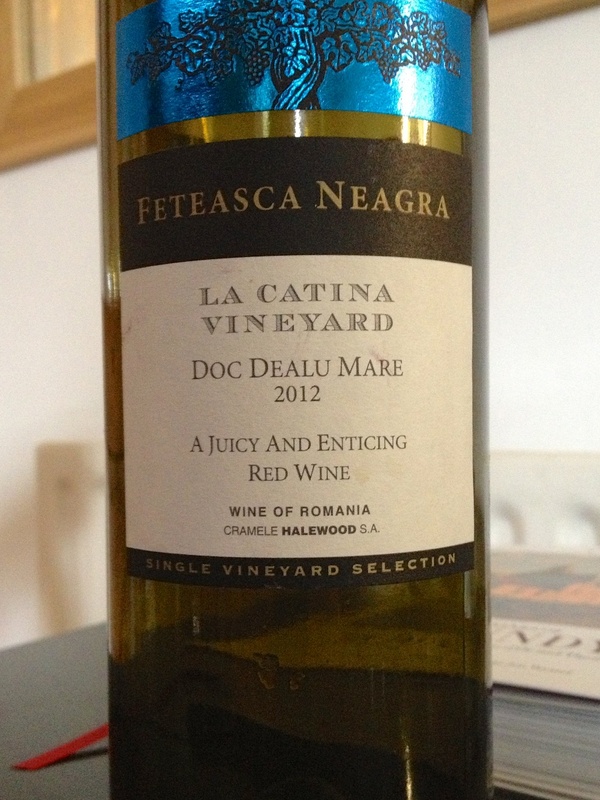 Waitrose have recently been stocking – and hopefully selling – a wine from Romania made from the Feteasca Negra grape variety. (The translation of FN is the title of this article). The wine is the product of a single vineyard, La Catina, and vintage is 2012. This – and other wines – from the same producer have been winning local and international awards, but, as we know, the wine industry likes its awards. So I thought I’d put it to our more humble tasting regime. The appearance was one of purple-red edgings with a deep, almost black, centre. There was some viscosity to show for its 13.5% of alcohol. 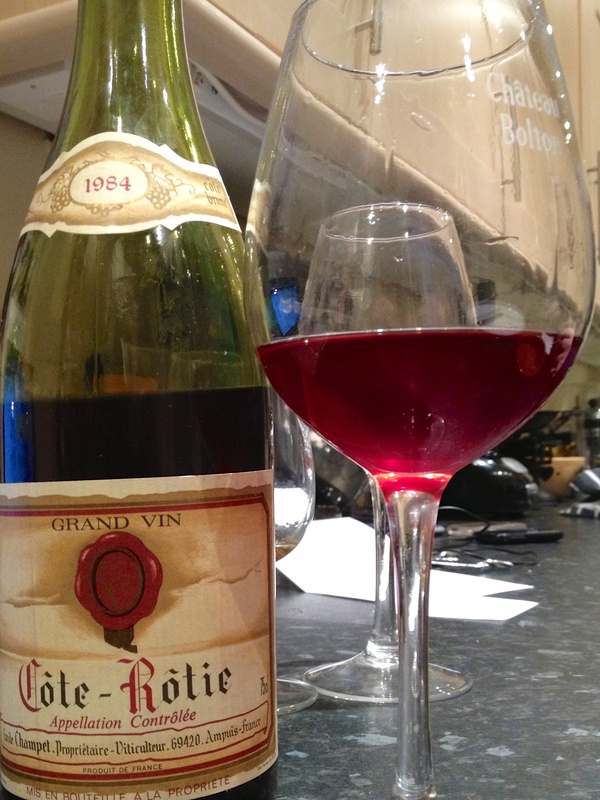 The nose was attractively fruity and faintly reminiscent of blackberries, with some lifting acidity. It suggested the wine was going to be of medium depth. The palate was not complex but dry with some fruit sweetness balanced by that acidity detected on the nose. It had a firm structure without being too tannic and a smooth mouth feel. There was some length to is fruitiness and the lasting impression was of subtle blackberry. At £8.60, it was interesting to try, but no more than that. It had immediate appeal – a ‘crowd-pleaser’, as some might say – but a little lacking in the complexity of some more well-known reds. However, it is supposed to age well, although when left open for eighteen hours and tried again there wasn’t a discernible difference. I’ve had worse wines at a higher price than this; if you’re looking for a fruity red, the ‘black young girl’ might be for you.